In this frightening age of resurgent nationalism, the idea of Cornish independence may seem a little trivial. A tiny minority demanding sovereignty for this isolated county of England is the least of Europe’s worries, but there is a serious streak of pride in this quiet corner of Southwest England—one that has even led to political violence on a few occasions. In 1980, separatists bombed St Austell’s courthouse, and as recently as 2017, two celebrity-chef-owned restaurants were threatened by arsonists. Visiting this rugged, beautiful county, you would never think such ugliness could exist in such a peaceful place. Compressed by millions of years of tectonic pressure, Cornwall is a crumpled sheet of cliffs, beaches, and hills that reaches out into the Atlantic. 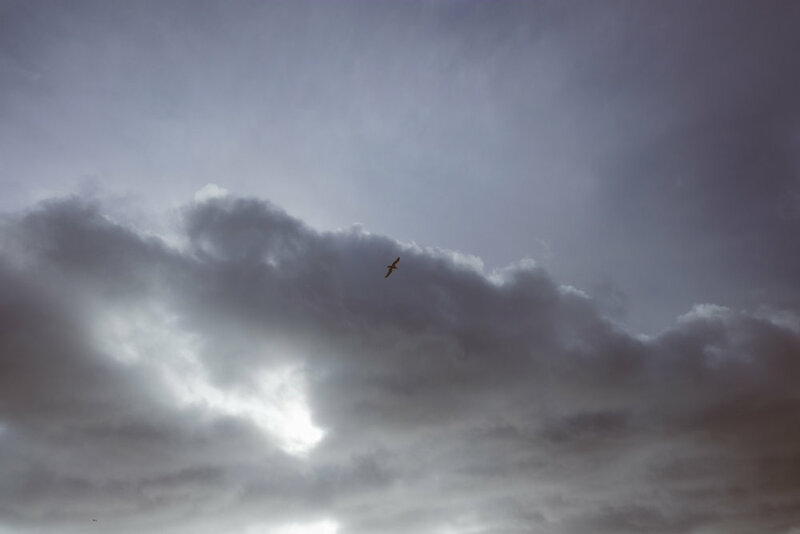 Cornish people like to boast of the sea air, open sky, local cuisine, and relaxed way of life. It’s literally and metaphorically hundreds of miles away from most of England. Such bliss leads to pride of a very different nature, but still one based on independence—more socio-economic than political. Which is not to say life in Cornwall is easy. It has some of the highest poverty rates in the UK and finding a job that isn't based around the summer tourist season is hard. The mines and quarries that were the mainstay of employment are long gone, but the industrious nature of the locals lives on. In 2018, it’s a county of producers and artisans, famous for its traditional food. In Britain, scones, pasties, milk, cream, cheese, and fish all gain foodie credentials simply by having the word “Cornish” fixed in front of them. It is a synonym for fresh, quality produce. The last decade has seen a huge rise in the number of breweries in the county, too, with 31 opening in a county with barely half a million citizens. Verdant Brewing Co., based in the Cornish town of Falmouth, rides on the swell of breweries that came before it, local favorites like Skinner’s Brewery, Bude Brewery, Penzance Brewing Co., and Harbour Brewing. 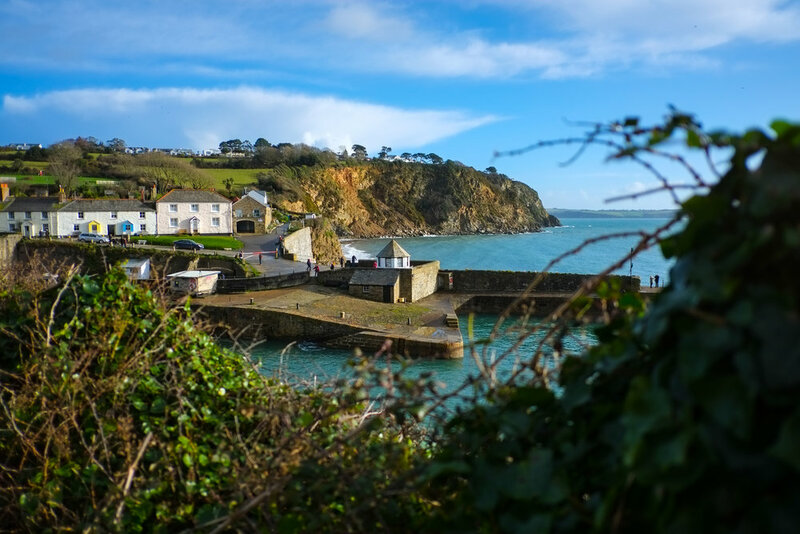 None of their beers make it much further than the county line, but Cornwall is also home to one of the largest and most respected national cask brewers, St Austell—any story about Cornish craft beer has to start with them. After all, they were the first to brew it. 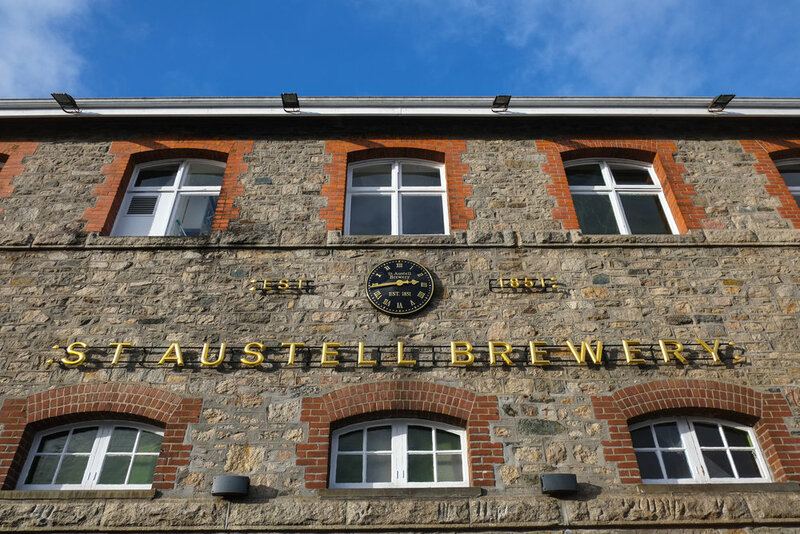 Founded in 1851, St Austell was a run-of-the-mill regional brewer for nearly 150 years, making a range of traditional Bitters based on one brew, simply split off into different fermenters and liquored back to varying gravities. With business stagnating thanks to the endless rise of macro Lager, they recruited Roger Ryman, a young brewer from Scotland. There, he had been enjoying pale, hoppy beers like Deuchars IPA and Harviestoun Bitter & Twisted, and was amazed to find that Cornish brewing was so far behind the times. He thought St Austell’s historic tower brewhouse and open slate fermenters weren’t being put to best use—traditional equipment didn’t mean you had to make traditional beer. Seeing an opportunity to create Cornwall’s first hop-forward Pale Ale, he jumped on the pilot kit and made a beer he named Daylight Robbery, in reference to the solar eclipse of 1999. That beer was the first iteration of one of the UK’s bestselling cask ales, Tribute. Despite being mostly British fuggles, it had a pithy marmalade and sweet biscuit aroma that, at the time, would have been completely alien to the Bitter-loving cask drinkers of Cornwall. But over the next few years, the beer found its own momentum and completely changed the fortunes of St Austell, with its reputation taking the brewery national. Tribute’s iconic purple shield is now found on cask pumps all over the UK and represents around 75% of the brewery’s 100,000 BBLs. Far from clogging up St Austell’s fermenters though, the beer’s success has allowed Ryman to push the brewery in new, exciting directions. It also opened the local drinkers’ palates up to beers that gave hops center stage. In 2006 they released Proper Job, a “Cornish IPA” with mountains of Cascade and Chinook hops that pack a punch to match any upstart British craft brewery. They even recently unveiled a beautiful copper-lined small batch brewery where Ryman and his brewers experiment with everything from Barrel-Aged Stout to Gose made with samphire. And it wasn’t just St Austell who saw their fortunes change. The county’s new love for pale and hoppy numbers like Tribute and Proper Job saw a greater demand for such beers in general, which has opened cellar doors for start-up breweries all over Cornwall. There are now more than 40 in the county, making it one of the highest brewery-per-capita regions in the UK. But the story isn’t that simple, either. As the growth of St Austell shows, even the most proud, independent Cornish breweries are still reliant on the rest of the country. Days start slow at Verdant. It’s Friday morning and the guys are excited to be making their third-ever batch of Track & Field, an IPA with Citra and Mosaic hops and Conan yeast, directly inspired by The Alchemist’s Focal Banger. But by 9:30am, the only thing brewing is a second batch of coffee. A few hours later, once the boil is finally on, we pick out those exact flavors in Verdant’s core IPA, Bloom. We’re indulging in a vital bit of Friday lunch quality assurance and are a few beers deep. Despite being billed as a West Coast IPA, the bitterness of Bloom is low and the fruit so jammy it sticks to your ribs. 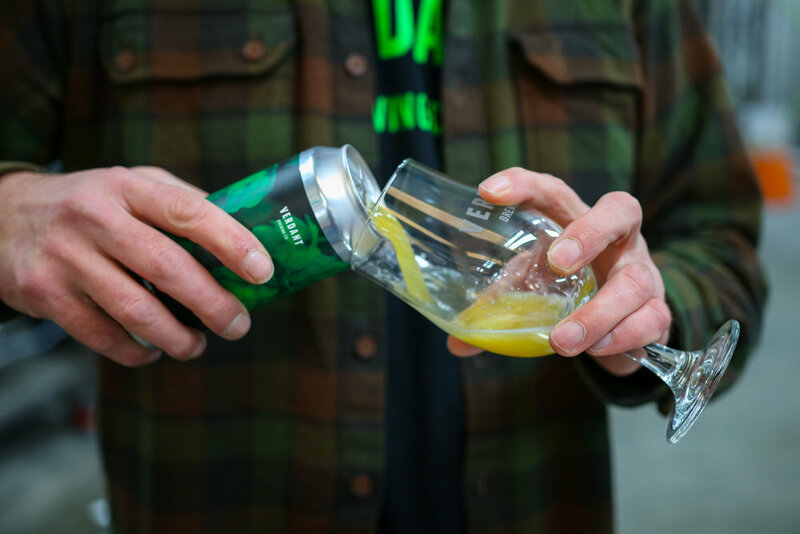 Verdant are celebrated in the UK for their aromatic New England-inspired beers, and even their drier core range has as much in common with a fruit bowl than it does beer. UK drinkers’ insatiable appetite for juicy IPA means that, at just three years old, Verdant is the highest rated brewery in the UK according to Untappd. For Robertson and his co-founders James Heffron and Richard White, that job turned out to be owning a brewery. They all had other careers when they started homebrewing together in Heffron’s kitchen, but it quickly became clear they wanted something more. In 2014, they rented a 20-foot shipping container in a quarry for £120 ($160) a month. Fueled by passion but completely lacking any kind of plan, they bought a pallet of hops and, like many Cornishmen before them, tried to set out on their own path. There was barely room to swing a sparge arm, but the intent was there. And so was the talent. The problem was there was no market for bold, modern IPAs in a county still coming to terms with the concept of keg ale. All around them, pubs were dominated by cask handpumps of Real Ale, and if those taps weren’t tied to St Austell, they were filled with beers from local breweries trying to tap the new-found local love of Pale Ale. 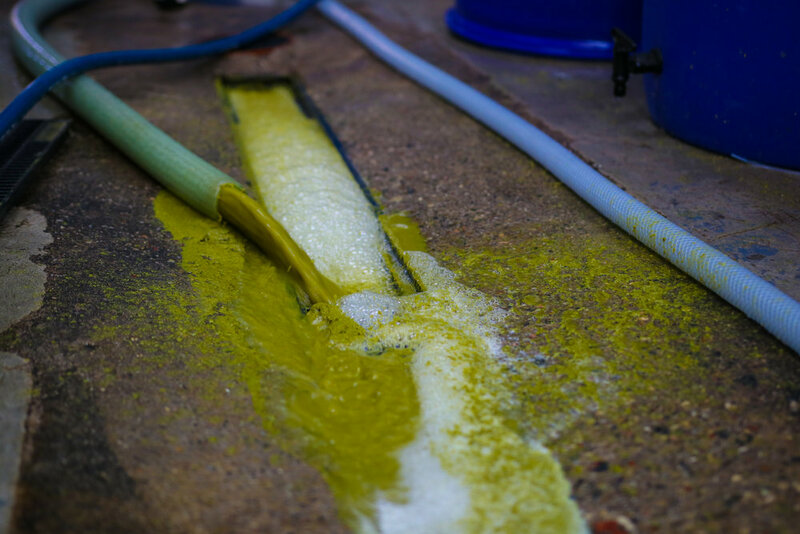 Verdant didn’t want to make cask, and to make things more complicated, they were making intensely hazy beer—which, in cask terms, is a sign of a poorly conditioned pint. The New England haze train had barely left the station, but Verdant were already on board and only gaining speed. Moving out of their shipping container in 2015, they found the warehouse they occupy now, increasing capacity enough to start “exporting” their beer out to Bristol, London, and Manchester. While Heffron and White ran the brewhouse, Robertson set about traveling the country to pour at every tap takeover and festival that would have them. Making such hazy, heady, and aromatic IPAs put them right on trend, and their reputation made for a relentless schedule. Setting up so far from your target audience is an interesting business model though, especially while most breweries in the UK are actively trying to increase on-site sales. Today, less than 5% of Verdan’ts volume stays in Cornwall. Meanwhile, thanks to a vocal online following, they’ve built up an unusual amount of noise. Searching Verdant on Instagram brings up a waterfall of ice man pours, bizarre glassware, and effusive praise. 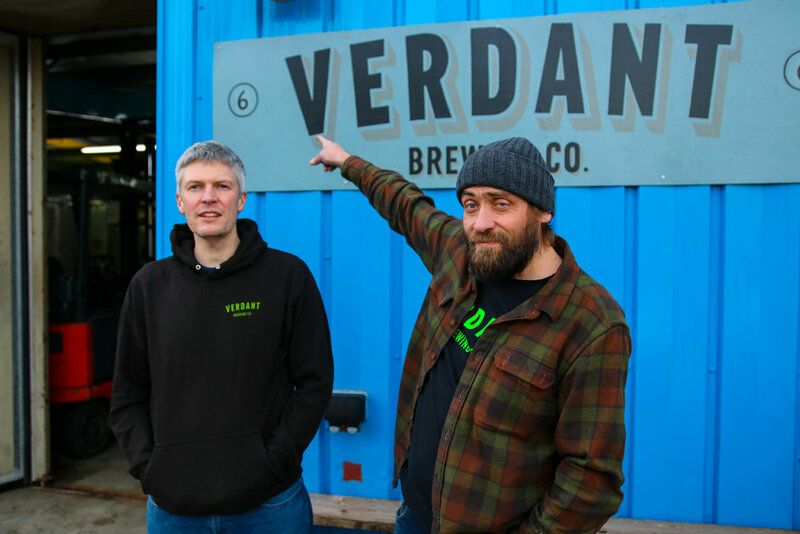 Most Cornish drinkers have still never heard of Verdant, which means that, in the brewery, you get the sense that Robertson is the only one aware of the brewery’s buzz. As any export-majority brewery will tell you, there’s a lot of risk in sending beer to unknown markets. 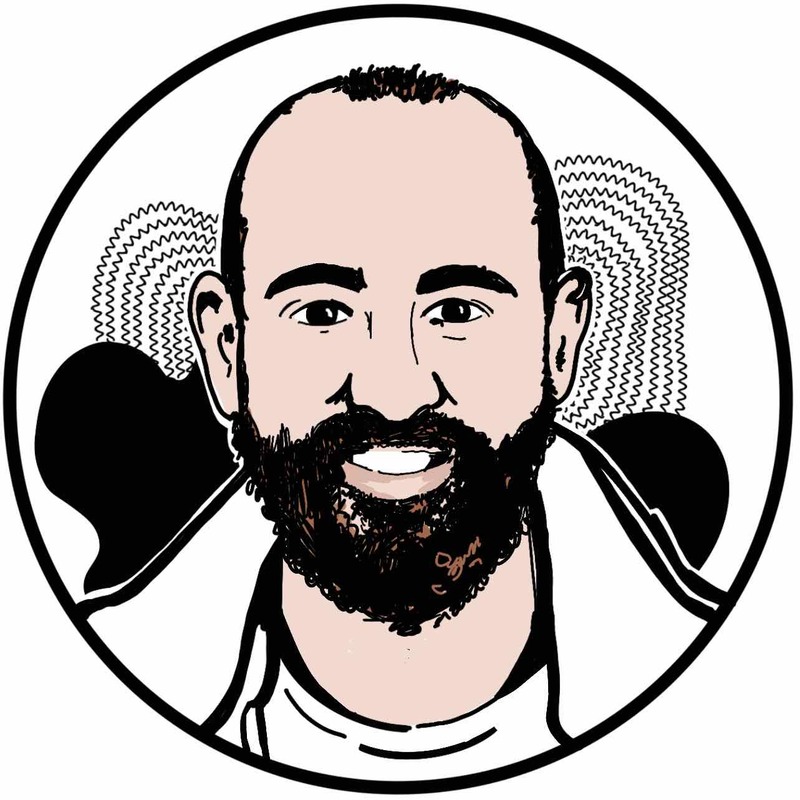 Monitoring quality and maintaining that all-important, face-to-face interaction that sets craft beer apart is all but impossible without feet on the ground in each market. So while their reputation and work ethic means they have distributors and beer lovers clamouring for their beer, their physical isolation means few people understand the scale of it. What gets to Heffron and Robertson most is being labeled as one-trick ponies. One mention of the way their beer looks and you can tell that the founders are very keen not to just be known as haze merchants. That may be true, but the look of such beers was what caught Verdant’s collective eye in the first place. Where some assume their skill at brewing New England-style beer has come from visits to the U.S., or studying some muled cans of haze, it was actually Instagram. For a brewery so mixed up in the UK scene, there’s a healthy dose of realism and localism to the Verdant team. 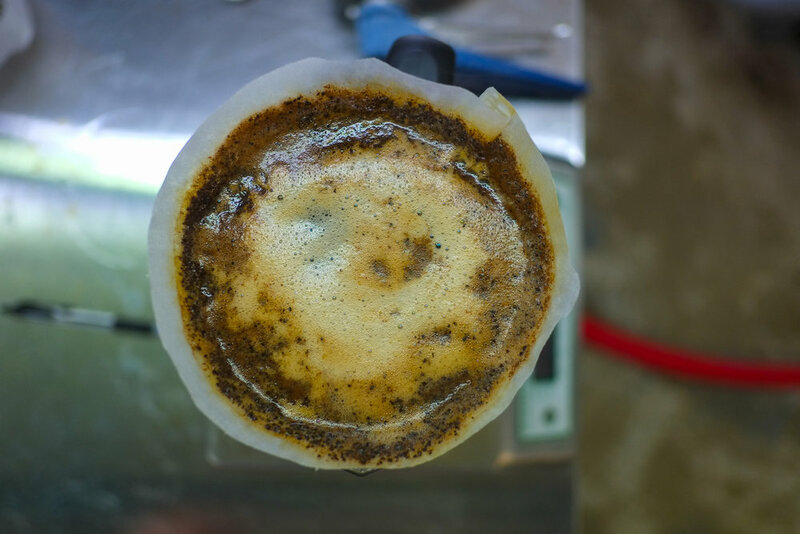 If the ideas came from American social media, the technical success it comes from their love for traditional British brewing and an understanding that yeast and water profiles are the key to a drinkable beer. The term “juicy” is banded around a lot in beer today, and it is often forgotten that New England beers gain much of their jammy character from the use of a British ale yeast, or at least the descendant of one. You’ll find similar sticky stone-fruit flavors you get in a New England IPA in a great British Bitter, too (even though the experience of drinking the two can differ quite a bit). Verdant, as it turns out, is inspired by brewing on both sides of the Atlantic. On the other hand, Verdant is extremely adept at finding new ways to look at craft’s flagship style. Most recently, they brewed If We Must, an IPA made with grape juice from a Cornish vineyard, in collaboration with Duration Brewing. The beer was a technical triumph, with plenty of citrus hops and yeast notes balancing the dry, grape skin notes of the juice. If Verdant’s guilty of repeating itself, it’s purely a reflection of what the brewery’s fans want. Like many breweries in the UK, Verdant struggles to drum up enthusiasm for their core lineup in the same way they can for their seasonal DIPAs. But they still forge ahead, making sure one core beer is on the brew schedule every week. While the thrill of a heady, tropical juice bomb is loads of fun for these guys, Robertson and Heffron are still regular cask ale drinkers. The fact that they staunchly brew their lower ABV beers is proof of their heritage and love of the pint as a medium. “In the brewery we’ve come back to thinking that sometimes when you go for a drink with friends, you just want to go to the bar and say, ‘Same again, please,’” Robertson says. “If you can brew an IPA with all the hop character, but still be able to say, ‘I’ll have another one and another one’, then that’s the holy grail. The issue is that those two occasions are rarely enjoyed by the same people. Like so many cultural movements, as craft beer goes mainstream, it gets more divisive. It’s especially true in Cornwall, where discerning drinkers seem to take sides, one championing traditional ale and the other looking to tear it down. It is a distillation of CAMRA’s endless struggle to commend the rise of craft beer while still focusing on the survival on more traditional styles. The resulting compromises often please no one. Sam and Katie Congdon run Vessel Beer Shop in Plymouth, right on the border of neighboring Devon. The shop has been known to sell six kegs of Verdant in one day, and regularly gets through a case of specials the day it arrives. But as Cornish natives, they grew up drinking cask ale, and know the region’s obsession with traditional ale all too well. One of the issues for smaller breweries is that St Austell has adapted extremely quickly to new market demands thanks to Ryman’s talent and wide repertoire. In most UK cities, the new desire for hop forward, bitter and modern beer was met by homebrewers going pro, in the supposed backwaters of Cornwall, a 160-year-old brewery was doing the innovation and had the economies of scale to keep it in line with drinker’s price expectations. It seems that while St Austell’s beers have been vital to changing the palates of South-West drinkers, they have also been successful in containing that advance to cask and the pint. Targeting that pint glass is where volume and growth will come from for an ambitious brewery, and while Verdant has nearly reached the capacity of their beloved tin warehouse, they’re conscious of what will come next—along with the overhead it might involve. Few Cornish breweries have managed to escape the county like St Austell and Verdant have, and some have even closed as a result of being unable to make profit off of smaller margin session beers. Robertson claims they didn’t even think about the location when they founded the brewery (it was just where they lived), where a more experienced brewery might think twice about being so far from the nearest metropolitan area. Rob Lowe, founder of Rebel Brewing Co, which is also in Falmouth, had to sell his business after it went into administration in early 2017. He can vouch for the challenges of brewing in such an isolated and conservative part of the country. Cornwall has 44 breweries, but 9 have closed in the last decade. That’s not exactly an impressive success rate—clearly, competition for the hearts and mouths of the local cask-drinking population is fierce. For breweries, this can make life exceptionally tough and draw focus away from the day-to-day of brewing consistently delicious beer. St Austell’s response has been to look to the rest of the UK, but also to mark themselves out as different by innovating, doubling down on cask quality, and brewing new, exciting beers. Verdant has taken a similar journey. They were ahead of their time in Cornwall, just like Ryman, making beers no one on the local scene had tasted before. They are helping to grow that local market, but also finding a national and adoring fan base that give them the confidence and cash to expand and improve. Already they’re looking at ways to diversify and capture the entrepreneurial spirit of Cornwall: they recently crowdfunded to take over a small fish restaurant in town, making for an exciting food and taproom destination in their hometown. There’s even talk of a wild beer project in the baby-blue warehouse once the main brewery scales up elsewhere. 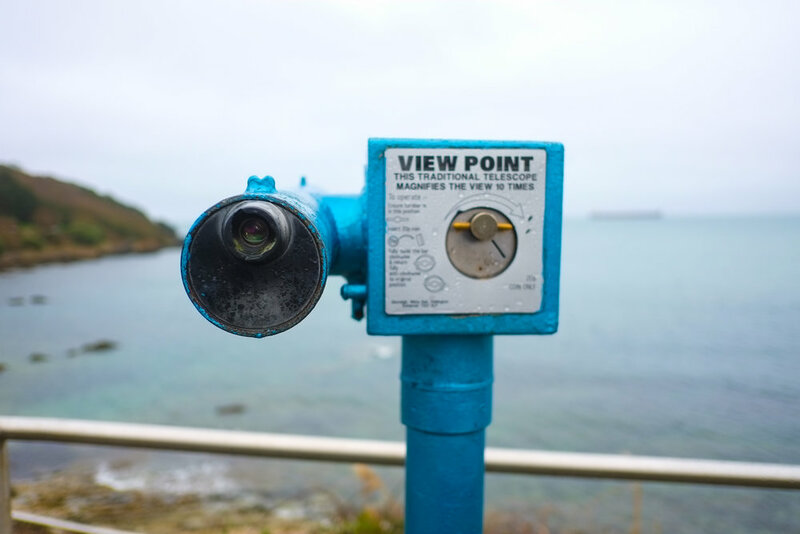 An independent Cornwall may be at the bottom of local politicians’ list of priorities, but it’s a free-thinking, creative part of the world where taking risks comes naturally. That in itself is a powerful form of freedom. Fervent Few — Always in Style?